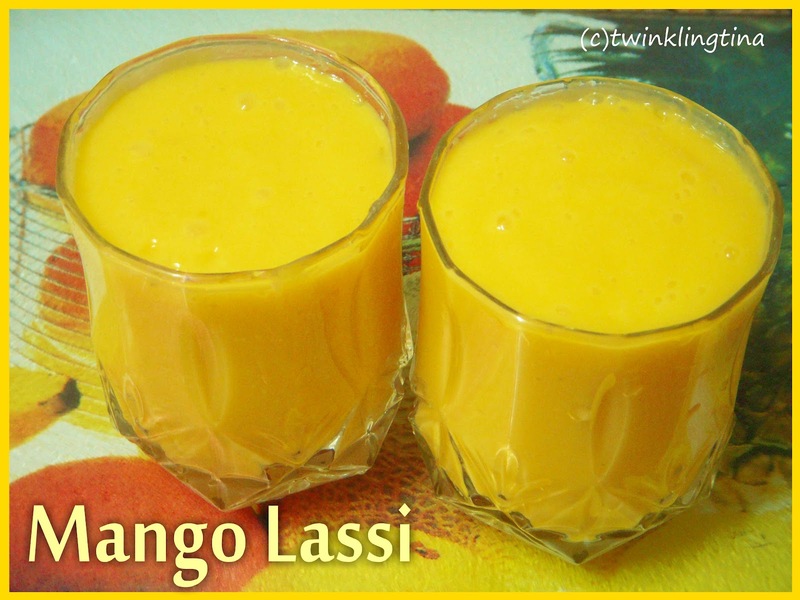 Here is a simple and easy way to enjoy the mango in the summers. A lassi with a fruity twist. It’s yummy & keeps you cool. I am posting it late… I had made it a few months back. Well actually there’s nothing to do. Cut the mango in small pieces or take the pulp out and put it in a blender. Add yogurt, milk, sugar & cardamom powder and just blend. You can add some ice cubes in it. But ill give you a trick if you are just taking out the yogurt from the fridge and putting it in the blender then you can do away with the ice. I personally don’t like ice in my lassi.